The Calm after the Storm | Day 2 campsite | Hyperlite Mountain Gear Square Flat Tarp. 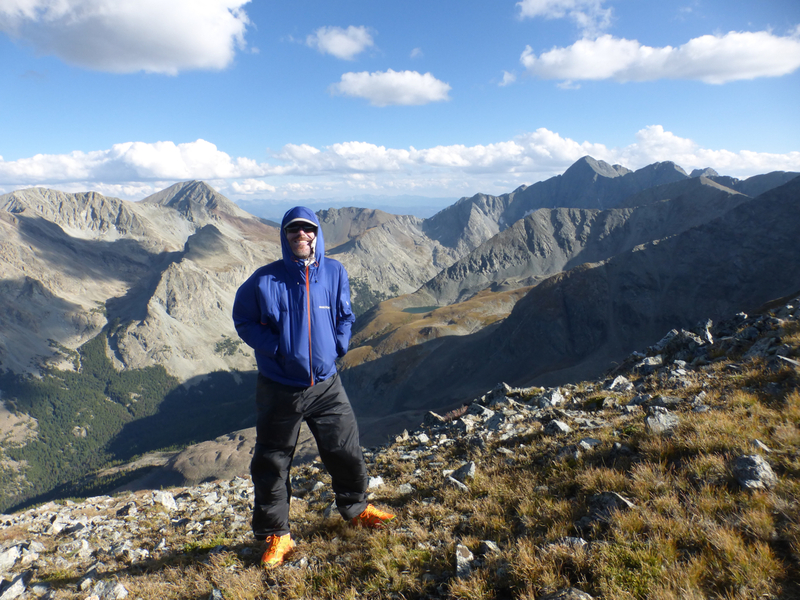 Click here for more details & images from the traverse of Colorado’s Sangre de Cristo Range. *Note: Following the Gear List I do a quick recap of items I’d either leave behind or take if I were to do the hike again. Hyperlite Mountain Gear Soutwest 2400 28.6 Went with internal frame pack due to 8 day food carry & long waterless stretches / Bomber durability and carries heavy loads well. Hyperlite Mountain Gear Square Flat Tarp 10 Held up very well in extreme conditions when pitched in storm mode. Stakes – Mix of sizes & styles (9) 2.8 Mostly sturdy stakes in case of extreme conditions. Pad – Gossamer Gear 1/8 Thinlight 2.4 Insurance against holes in NeoAir / Takes combined R Value up to 5 Plus. Quilt – Katabatic Sawatch 15 24 Conservatively rated 15°F / Best quilts/bags I have used / Could have made due with the Palisade 30°F. Bivy – Katabatic Bristlecone Bivy 7 Adds 5 – 10° warmth / Like a windshirt for quilt / Long-time go to item when using tarps smaller than 10×8 in potentially dodgy weather. Titanium Spork 0.3 Top end wrapped in orange tape so I wouldn’t lose it. Platypus Hydration Bladder (2 LT) 1.2 Extra H20 capacity came in handy during long dry stretches on crest. Rain Pants – Montbell Versalites 3.6 Light, quick drying and durable enough for on-trail hiking / For bushwhacking, scree slopes etc. I’d recommend going with something sturdier. Rain Jacket – Montbell Peak Shell 9 I’ve grown to like this rain jacket a lot | Nice balance between weight, durability, breathability and good DWR. Base layer – Montbell Merino Wool L.W. Tights 4.8 Thumbs up / Replaced old Patagonia Capilene 2’s. Insulation – Patagonia R1 Hoody 10.9 Long time favourite / Key item on trips like this when freezing rain, high winds, temps in the mid 30’s F and exposed conditions are common. Extra Socks – Smartwool merino wool 2.4 Warmer pair for sleeping. Outdoor Research PL Sensor 400 Mittens 2.9 Love these mittens / First time I’ve worn them in a few years; salvaged from gear storage purgatory. MLD eVent Rain Mittens 1.4 Outer Layer for hands. Warm Hat – Montbell Chameece Beanie 1.3 Great beanie / Not too thick / Stretchy enough to fit my big noggin. Phone – Samsung Galaxy S4 mini 4.8 Decent photos & Video / Showing signs of wear and battery life isn’t what it used to be; need to upgrade to a newer model. Montbell Power Head Lamp 2 First time using this model | Thumbs up | Four settings, pretty good battery life | 160 Lumens max. Suunto M-2D 1.2 Adjustable Declination | Compass of choice for years | (Note: No longer made). Umbrella – Montbell / CDTC Chrome model 5.9 Due to high winds & rugged terrain, generally not practical for crest / That being said, came in handy as a rain block for tarp entrance when camped above tree line & elements were raging. Windshirt – Montbell Tachyon Anorak 1.9 This is my third model / Each has lasted around 8 to 10,000 miles / Very durable & warm for something so featherweight. Montbell Merino Wool Liner Socks 1.6 Merino liners have been my go-to hiking socks for years / Montbell’s versions are pretty good, though I’m still partial to my old REI Navy Blues. Shoes – Brooks Cascadia 10 24.4 Much maligned 10th incarnation of the Cascadias / So far so good. 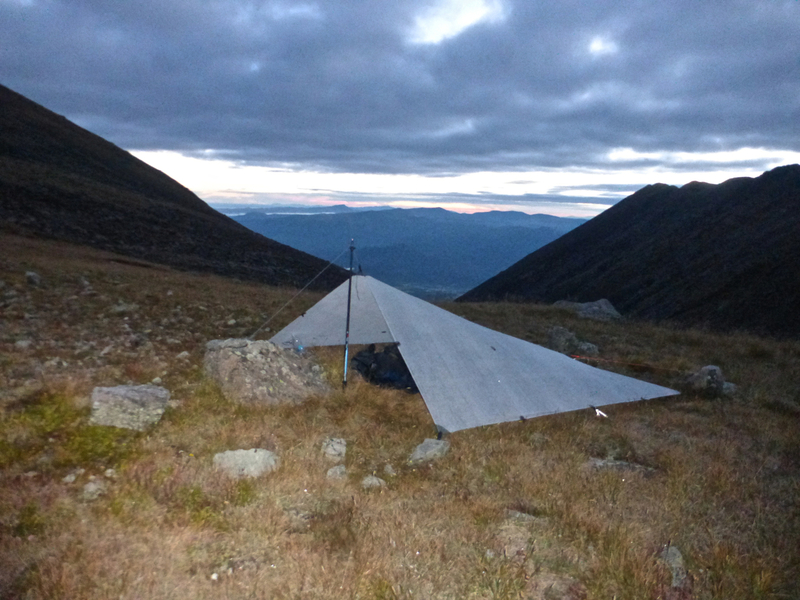 Shelter: As much as I liked the Square Flat Tarp, I’d probably take a Mid next time around. It would afford a little bit of extra protection when camped above tree line. Due to the nature of the route, dropping below the trees was not always a practical option. 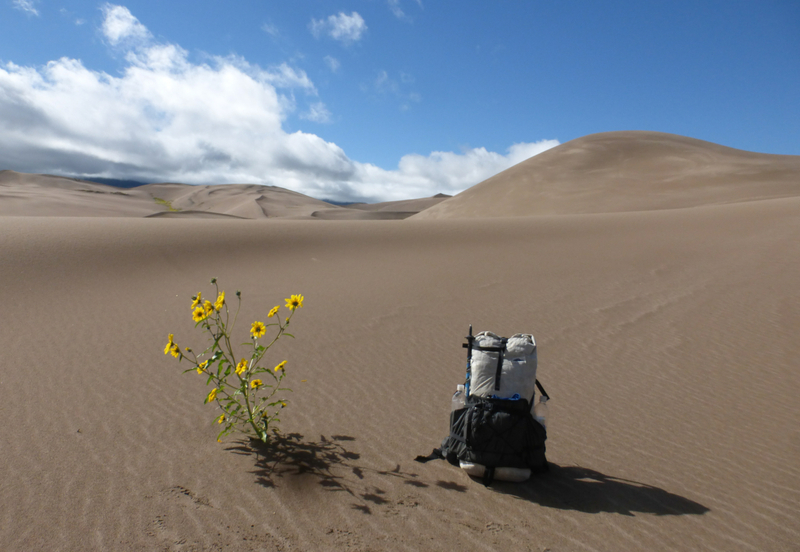 Umbrella: The crest is windy, exposed and the terrain is quite rugged. I’d leave the umbrella behind. Downsize Quilt: Instead of the Sawatch, I’d take the Palisade 30F from Katabatic. When combined with the clothes I took, this would have sufficed from a warmth perspective. really enjoy the web site, and the news letters always brighten my day when they appear. My question is, when do you deem it important/what conditions would you pack a wind shell? 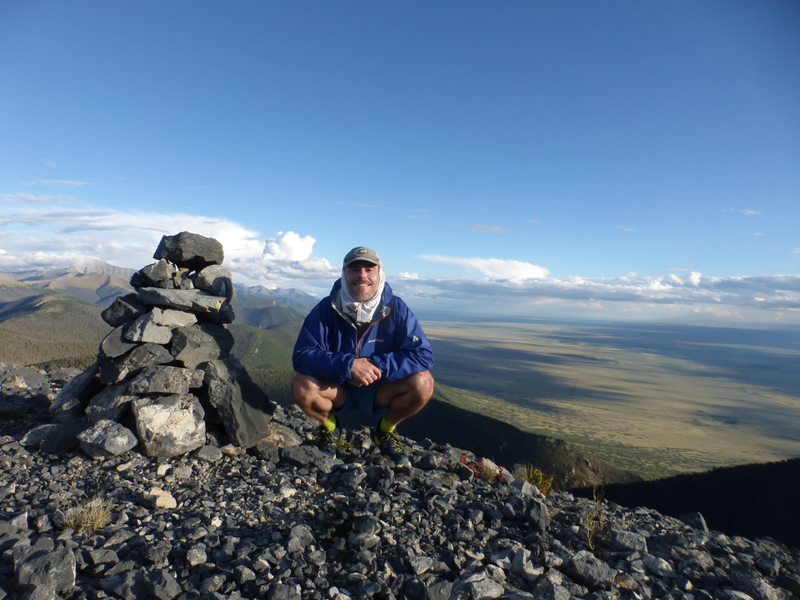 I carry a wind shirt on virtually all of my multi-day hikes. The weight penalty is negligible (e.g. the Montbell Tachyon Anorak I use weighs around 2 oz), and I’ve found it to be a great option when it’s too warm for a waterproof or insulation layer, but a bit chilly for just a base layer. It packs down so small, that on days when the temps/conditions are constantly changing (e.g. above tree line on the Sangre de Cristo crest), I’ll often just stuff it in one of my side pockets beside a water bottle, and periodically take it on and off depending on the weather. Hi love the list. Is there any real difference on using one trek pole vs two. I am planning on attempting the Camino 800km. Personal preference. I usually carry one to give myself a little more flexibility/freedom in regards to pitching my shelters (e.g. Tarps, Mids, Tarptents). Thanks for your ever-useful insights here. 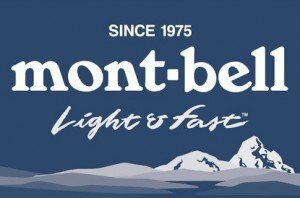 A question regarding umbrellas–have you had the chance to compare/contrast MontBell’s various offerings? I plan to buy one of them and I’m wondering if their “Travel Umbrella” would be viable for on-trail use. It weighs less than half as much as the chrome model, which intrigues me… if you have an opinion, I’d love to hear it before shelling out the cash! Montbell have changed their umbrella range in recent times. As yet I haven’t used (or seen) their 3 oz “Travel” model. 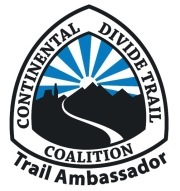 On this just completed trip up in the States, I took the Montbell/CDTC Sun Block umbrella (http://continentaldividetrail.org/product/cdtc-mont-bell-umbrella/). Very happy with it. Held up well in some challenging conditions.